TN Miller Remodeling can construct the perfect addition to fit the architectural design of your existing structure. 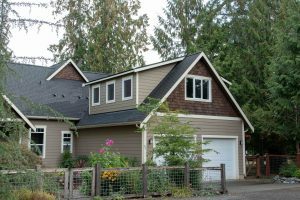 A well planned home addition will provide the desired additional space needed as well as adding value to your home. Home additions are a great way to invest in a home while adding amenities and space a family needs. Addition projects can include adding space to a kitchen, bathroom, bedroom of family room. Adding additional square footage to these rooms can yield big results in the design and use of the room. Having a contractor that can manage your vision, permitting and keeping the whole project on time and within budget is a big challenge. TN Miller Remodeling has the experience, quality craftsmen, and focus on making the client pleased with their experience. Learn more about our Addition Construction Signature Process. 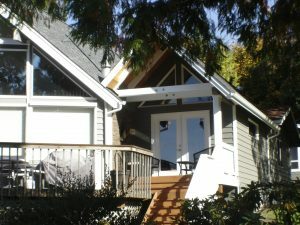 We recently completed a home addition in Gig Harbor. The current great room was showing signs of siding and window failure due to the intense weather of the area. The clients decided to add square footage to the room during the repairs. TN Miller adding an additional 400 square feet to the great room as well as a additional 300 square feet of covered patio. 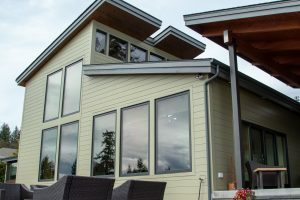 To ensure the structure was water resistant we used a rain screen material under James Hardie Artisan V Rustic Siding while installing Milgard Essence Windows. The project was awarded a 2018 REX award ‘Excellence in Remodeling‘ for a residential addition from $125,000 – 175,000 category. We are a very diverse firm specializing in Kitchen Remodeling, Bathroom Remodeling, Home Additions, Garages and Decks and Patios. Bring your ideas or house plans and we will start with our signature design process. Learn more about our Kitchen Remodel Signature Process. In addition to our many awards and community involvement is the many customer testimonials we love to share. We look forward to having you share your experiences with us too.